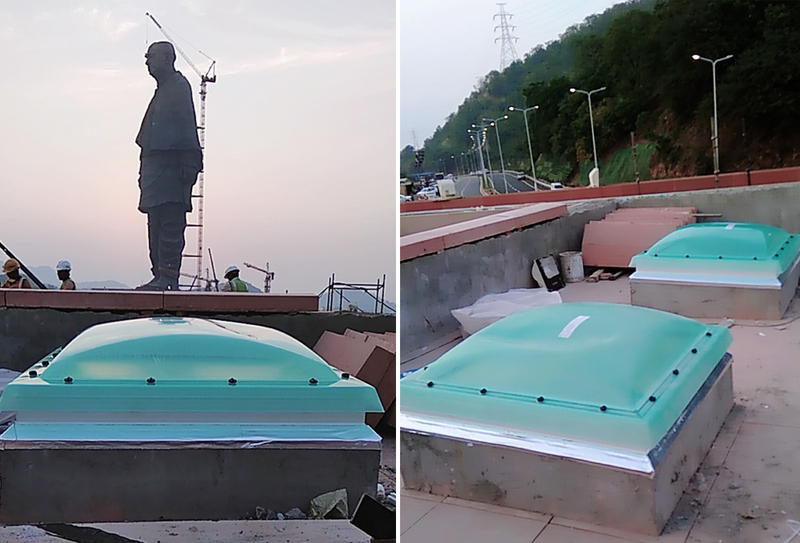 The ‘Statue of Unity’ (SoU) is dedicated to the Iron Man of India, Sardar Vallabhbhai Patel. A statesman par excellence, Sardar Patel is widely considered to be the architect of modern India. The SoU will stand tall as an inspiration to future generations, a reminder of Sardar Patel’s sterling contribution and a symbol of national harmony and integrity. We are proud to mention that our 3 skylights are part of this project. These three skylights are standard skylights of Velux.